A Classic Unfinished Oak Triple Glazed Door with Decorative Glass. The Malton Diamond is a timeless twin light design with a stylish bevelled jewel design in the centre that is surrounded by a gluechip border with caming. The decorative glazing allows light to flow into a home whilst maintaining a good degree of privacy. A complementary side light is also available to enable truly distinctive entrances to be created. 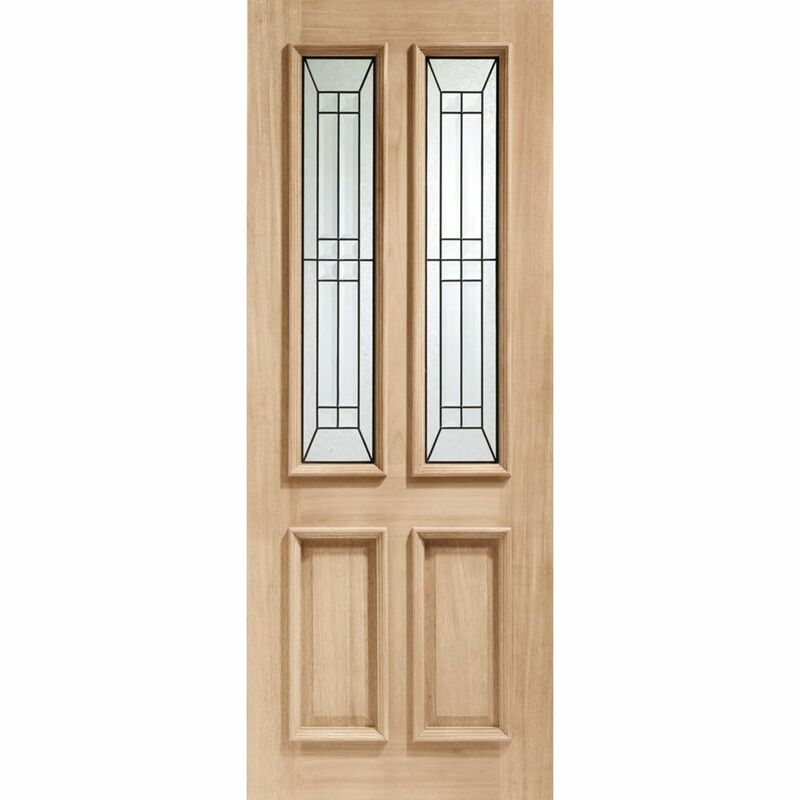 A Classic Twin Light Design, "Diamond" Triple Glazed with a Stylish Bevelled Jewel Design in the Centre, surrounded by a Gluechip Border and Black Caming; This door has an Indicative U Value of 2.9W/m²K when when installed as part of an XL Joinery Door Set. XL Oak Triple-Glazed Malton Diamond Door Codes - TGOMALT30 - TGOMALT32 - TGOMALT33 - must be treated to manufacturer's instructions. - We cannot exchange Oak Glazed Malton Diamond External Doors after order - XL Malton Diamond Triple-Glazed Oak External Doors are supplied as a Special Order. We cannot exchange any XL Door once work has commenced; XL Joinery Malton Diamond Glazed Oak External Doors are supplied as a Special Order. Carrier Delivery of XL Malton Diamond Glazed Oak Doors is not possible. E. & O.E. see T&C - We do try to keep Prices and Specifi­­cations of XL Malton Diamond Glazed Doors correct, but mistakes can be made! Please let us know if you do spot any errors - thanks.